Why are synapses the most efficient structures in passing and transferring a signal? A synapse that provides a communication link between neurons and nerve cells is actually a structure passing an electrical signal or a chemical signal through the nerve system, which consists of a part of an axon and a part of a dendrite, and therefore a synapse can be defined as a point-to-point communication terminal which transfers the data packets through the synaptic cleft or the gap junction. Synapses are divided into two different types by relating to their patterns for passing a signal from one nerve cell to another. A chemical synapse releases a synaptic vesicle, which is called neurotransmitter, into the synaptic cleft that is the area approximately 20nm between the presynaptic terminal and the postsynaptic terminal, to transmit an electrochemical wave generated by an axon. An electrochemical wave which is also called an action potential is the beginning of the synaptic communication between a neuron and another, furthermore, an action potential is used by other types of cells for activating intracellular processes. Special types of voltage-gated ions embedded in axon generate an action potential(a nerve impulse or an electrochemical wave) by changing sodium- (Na+) to potassium- (K+) as an outward current and an inward current, in a very low amount of chemical energy. When the presynaptic terminal generates an action potential along its axon, a neurotransmitter is released into the synaptic cleft and binds to a specific receptor of the membrane of a dendrite at the side of the postsynaptic terminal, after the process , an electrochemical wave is passed from the presynaptic terminal to the postsynaptic terminal by using a chemical reaction and this process also called synaptic transmission. On the other hand, an electrical synapse is capable of passing an action potential(or a nerve impulse) directly to the postsynaptic terminal by using its special part called the gap junction, instead of providing neurotransmitters with a chemical reaction. Neurotransmitters which are a type of chemical messengers occurs in various combinations of chemical compounds so that there are a lot of different types of them, such as dopamine, norepinephrine, serotonin, histamine, glutamate or y-aminobutyric acid(GABA), and each of them has a particular function on the postsynaptic terminal in spite of the fact that all of them occurred in the same presynaptic terminal. A neurotransmitter can transfer complex messages including to manage the state of all muscle systems in an animal body, due to its chemical bonds and its structure. However, if a signal needs to be sent from one nerve cell to another more rapidly, an electrical synapse can do that instead of a chemical synapse because they have no delay time caused by chemical reactions. Electrical synapses synchronize signals, messages or electrical activity among neurons or nerve cells affected by them but the response of the postsynaptic terminal is always the same, not particular. However, electrical synapses pass a nerve impulse straight and that may cause an excitatory postsynaptic potential (EPSP) which is the opposite of an inhibitory postsynaptic potential (IPSP). 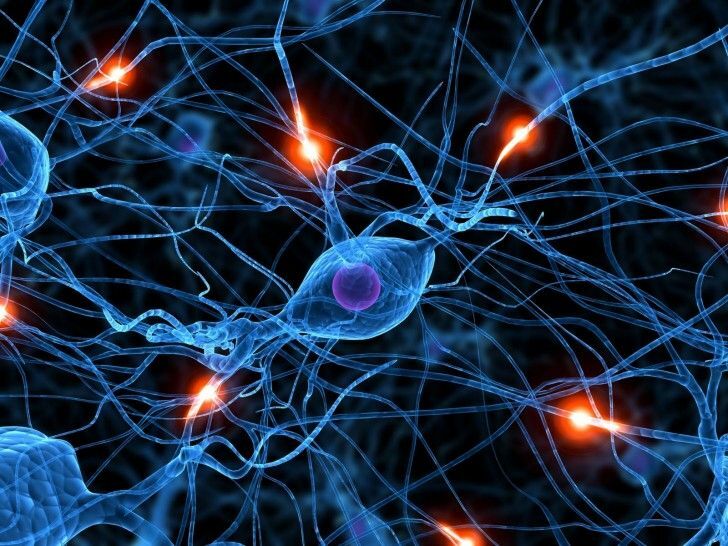 Each of electrical synapses, chemical synapses, neurotransmitters, action potentials and neurons are the parts of the nerve system operating the complex systems such as the respiratory system of an animal body. According to the amount of data created every second by an animal brain, we can say that synapses are the most efficient structures in passing and transferring data, signals or messages compared to the other systems.